We desperately need a new rug in our living room. A certain sweet pup has had her way with it and has made the living room quite unpleasant…I am loving this rich plum color. Why are rugs so expensive?! 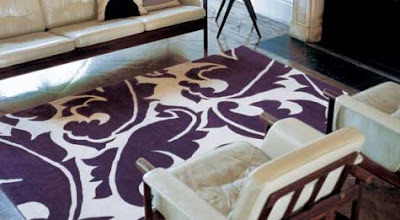 Rug by The Rug Company, originally seen on d*s.